The Sims 4 – a computer game in the genre of life simulator, the fourth in a row from the series of games The Sims. As in previous games of the series, the concept of gameplay remains the same, the player controls his character in various activities and relationships similar to real life. The Sims 4 has a non-linear gameplay without a given end goal. Gameplay in The Sims 4 is a real-life simulator. The player controls life, satisfying the various desires and needs of one or more characters. The action takes place in the town, consisting of residential and public areas and populated by ready-made sims. Each character is endowed with reason and emotions, has a unique appearance and personality. The relationship between the characters is measured on two scales, responsible for friendship and romance. The game has a built-in “Character Creation Mode”, which allows you to create your own Sim or change an existing one. The player can adjust the age, appearance and physique, voice, character and ability, some preferences and life goals. The game is equipped with a number of tools for changing the interior and building settings. The entire interface is located at the bottom of the game window. In the lower left corner there is a character icon indicating its emotional state and small icons of other family members. Here are 6 needs, when you click on the icon of each of them will appear a scale of satisfaction. In the lower right corner there are buttons for the modes of life, shopping and construction. In the center of the pause and start button of the game. When the game is paused, there will now be no red frame, instead a translucent white edge will appear at the edges of the screen. The Sims 4 is developed on a completely new engine, which is complemented by a new Smart Sim technology. It gives the characters the ability to talk with each other and respond to what is happening with the help of various emotions. Almost the entire gameplay depends on the emotional state of the character, his mood, skills, desires and actions vary depending on the feelings experienced. In The Sims 4, a character can perform several actions at the same time and perform tasks in a group with other characters. The game offers an extensive choice of professions, allowing you to go through certain stages of work that require communication with other Sims. »Digital content” Time for a party “- Includes a bar counter and stylish outfits for your characters. »Digital content” Walking all night “- Includes a laser show, interesting decorations for the holiday and stunning costumes for parties. »Digital content with cool animal-shaped hats – Includes a collection of funny animal-shaped hats – your characters will look unforgettable! »Digital Soundtrack The Sims 4 – Digital soundtrack with music from the game. THE SIMS ™ 4 For Work! 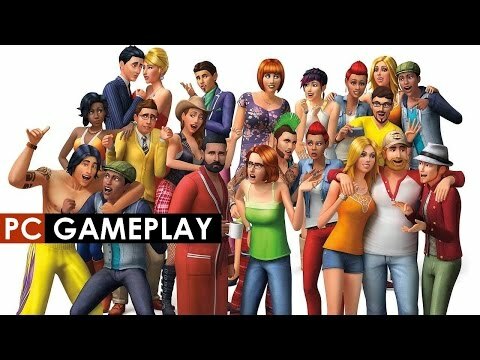 THE SIMS ™ 4 FUN! »P | S The folder” Tablet “will be installed in the folder with the game installed. It contains a tablet from the game in the archive. “Put just in case antivirus or windshield protection will remove the tablet. “The game can run for a long time.